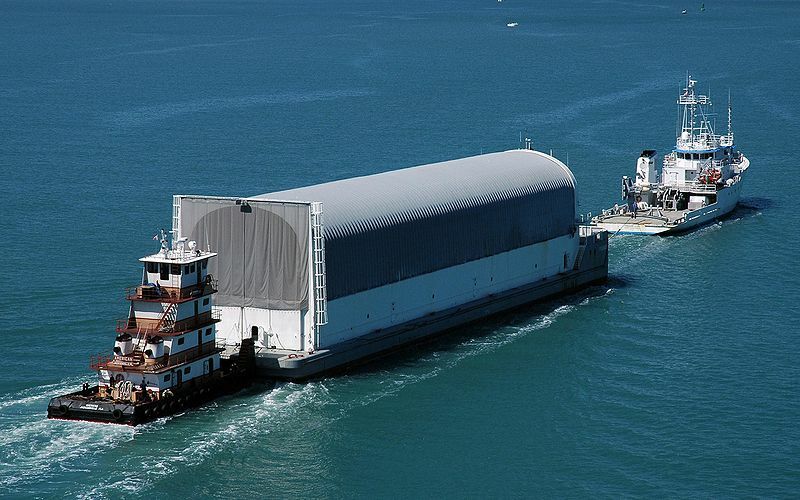 The Pegasus Barge was originally built to transport the Space Shuttle's external fuel tank from the Michoud Assembly Facility in New Orleans, Louisiana, to the Kennedy Space Center in Florida. 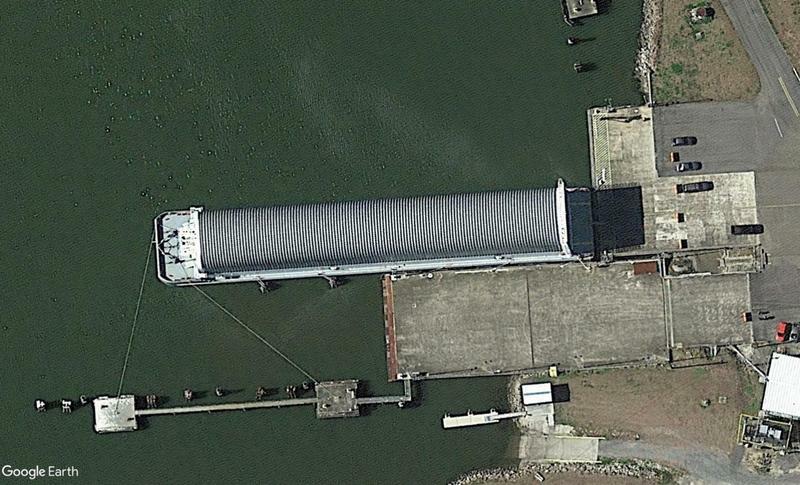 Not so long ago, the ship was cut in half and a new segment was added to make it bigger. It's able to transport the new first stage and other major parts for NASA's Next Generation Space Launch System (SLS) for testing at KSC and other space centers, notably Huntsville. The main engines are transported with it. These are stored and tested at the Stennis Space Center in Mississippi. To get to these locations, the barge is moved through extensive waterways and rivers of the United States. The trips take two weeks and more.